Archery is great fun but the equipment can be expensive so here is a step- by-step tutorial on how to make a working bow from PVC plumbing pipe and with minimal tools for just a few pounds. 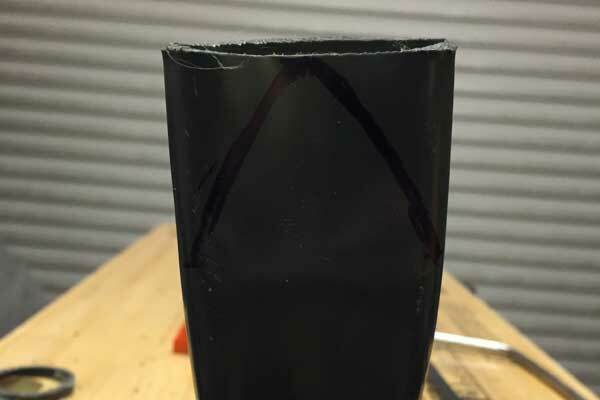 PVC pipe becomes very workable when heated and can be flattened and shaped pretty much indefinitely to achieve the required contours. The results are more impressive than you might imagine and the finished bows can be painted and accessorised for an even more personal touch. These home made bows are popular in the US where it has become somewhat of an art with many weird and wonderful designs being produced. 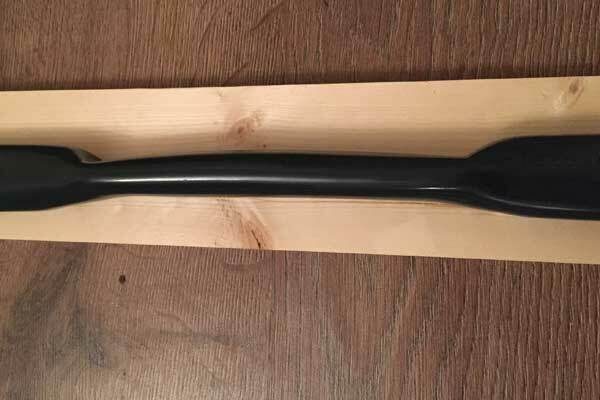 The favoured pipe across the pond is Schedule 40 and there is a supplier in Scotland who imports this and delivers quite reasonably. However, I have had good results with UK “class E” pipes (these have quite thick walls) and no doubt others will produce equally good – if slightly less powerful – results too. You can of course simple string up a length of pipe that has had no heat treatment or flattening and still produce a perfectly usable bow but heating and moulding give better characteristics and more pleasing aesthetics. Note: PVC pipe will become very hot so you will need to use a suitable cloth or heat mat to protect your hands when manipulating them when softened. You also need to be careful not to over heat and burn the pipe as this will cause weak spots and can release dangerous fumes. Always heat pipe in a well ventilated area. 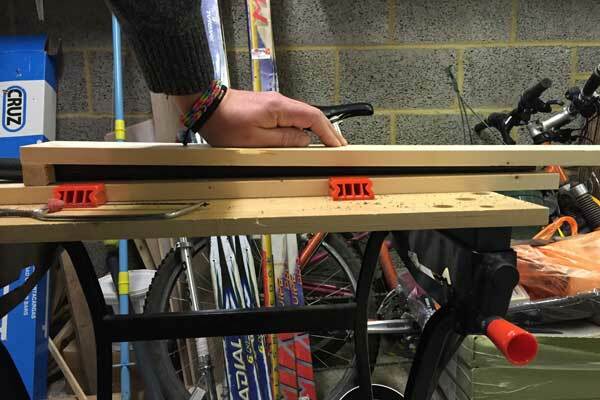 For best results a simple flattening jig can be made from a 4ft plank of 4” x 1” wood with spacers attached at one end as shown in the picture below. The spacers should be 1/4 inch less than the diameter of your pipe. This tutorial is for a simple, 64 inch, recurve bow but the possibilities are endless and shape and length are open to experimentation. There is a glossary at the end of the article if you are not familiar with any of the terminology. Cut your pipe to size (in this case 64 inches) and mark the centre point with a marker. Then mark a point 4 inches each side of the centre point – this is your handle area. Finish your measurements with a mark 6 inches in from each end which is where you will add in the recurve later. Start heating one of the limbs with even strokes of the heat gun turning a quarter turn after each up and down stroke so you heat the whole circumference of the pipe. Be careful not to burn the pipe as this may cause it to fail when finished. You can check progress by squeezing the pipe but use a cloth or heat mat as it will be very hot. Softening can take up to 10 minutes. 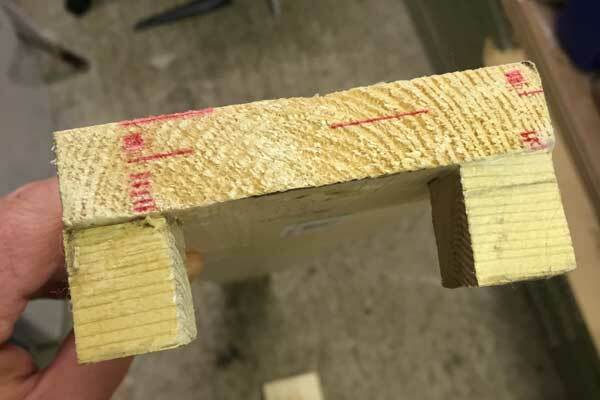 When the pipe has softened uniformly and is easily manipulated transfer it to a flat surface and place the flattening jig over the limb with the spacer end lined up with the 4 inch from centre mark and pipe aligned so that the other end is completely flattened as shown below. Depending on the length of your limb you may need to rest the pipe on another piece of wood to allow for complete flattening at the end. Apply pressure to the jig evenly along the length of the softened pipe which you can do with clamps or your own body weight. Keep the pressure on until the pipe becomes rigid in its new shape – no more than a couple of minutes. Remove the pipe and check for a nice even taper. Do the same to the other limb ensuring that it remains in line with the other side. 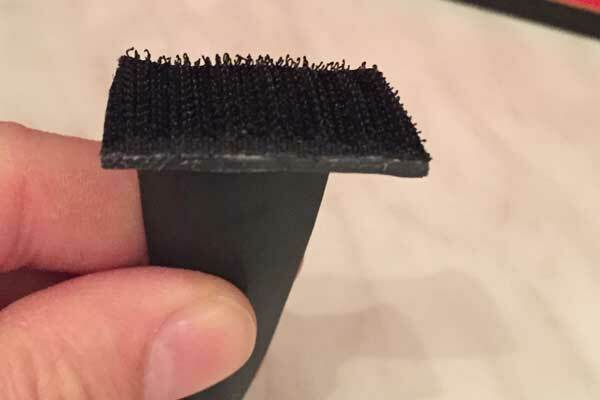 Check for even taper on both sides and adjust by re-heating and re-flattening if there is a significant difference. When cooled check that the limbs are bending at the same rate by holding the ends and pulling or pushing them down with the centre point supported. If one side is bending more than the other it is weaker so you can either re-heat it to make it thicker or make the other side thinner to even them out. It is not vital that they are absolutely perfect but get them as close as you can as it can affect performance and accuracy if it is too far out. The stronger limb will be the lower one so, when you are happy with the flex, mark your top and bottom limbs. When cool you can heat the handle section in the same manner as you did for the limbs and when flexible flatten it in the opposite direction to the limbs to form at a comfortable grip shape. 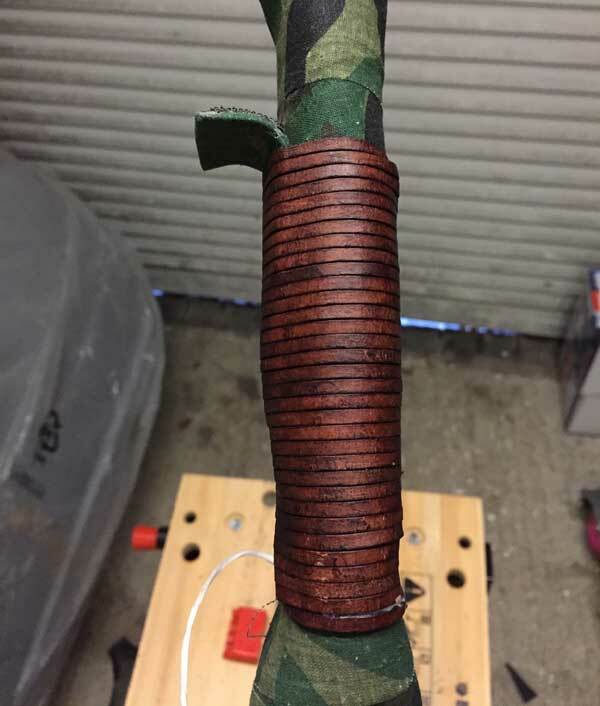 I used a block of wood the same length as the handle section to press from one side while the pipe is on a flat surface which often results in a pleasing off centre shape. This allows the arrow to be positioned close to the middle of the bow. You can manipulate this until you are happy – all the while keeping the limbs straight and level with each other. Don’t make the handle too thin as you want to retain rigidity in all directions at this point on the final bow. Note: For a right-handed archer (holding the bow in the left hand) the offset of the handle is on the left. To form the recurved tips gently heat the 6 inch sections at the end of the limbs and bend them using a 7-8 inch diameter saucepan as a guide. Note: don’t heat the tips too much as they will spring back to their original round shape and be difficult to form. 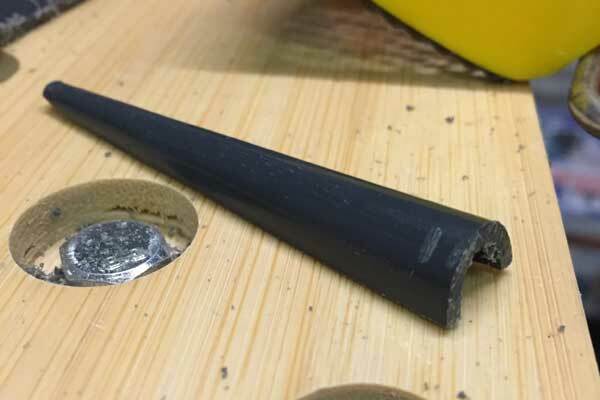 Ensure the end of the pipe remains fully flattened. As you shape the recurves you will notice a slight dip form in the middle of the pipe which will make for a handy string guide when the bow is braced. 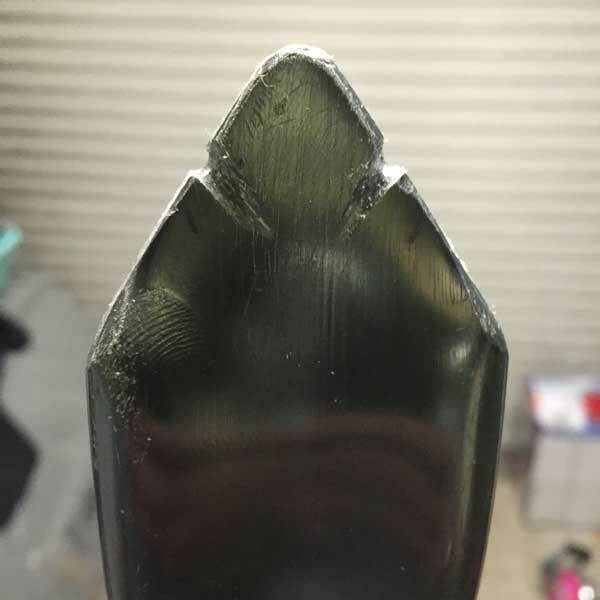 When cool you need to shape the tips. Draw a guide using the marker and cut the shape out using a hacksaw. You can refine the shape later using a file or sandpaper. 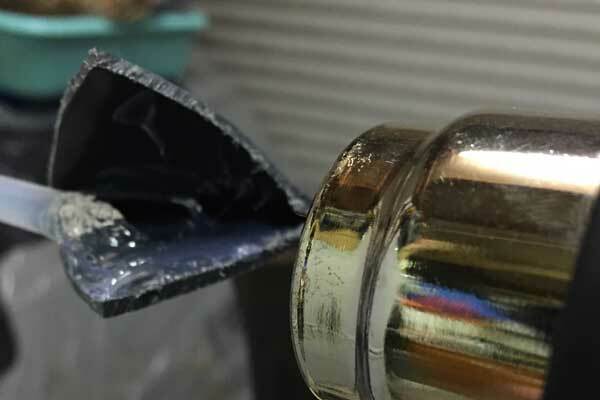 When both tips are formed it is a good idea to secure them together using hot melt glue or epoxy. 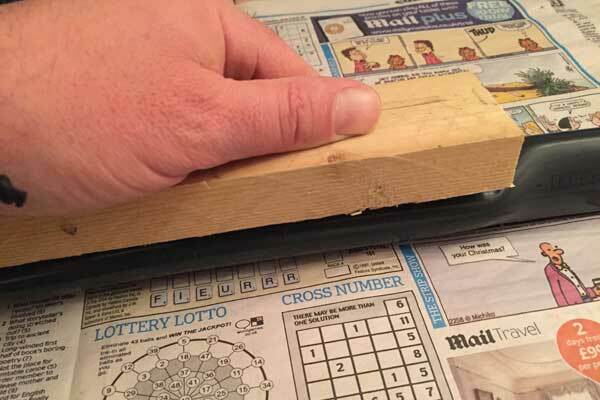 This is done by gently heating just the top flap of the tip and folding it back while you apply the glue. 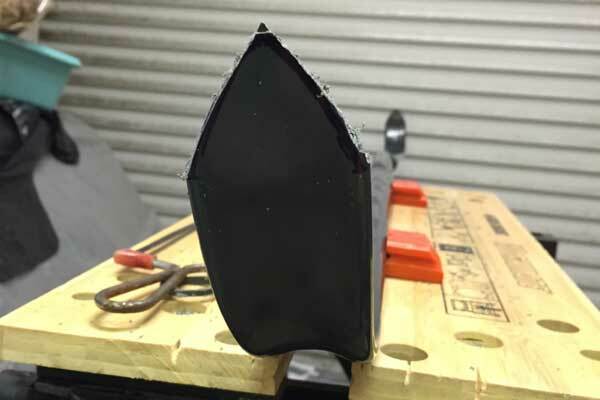 It can then be re-heated and squeezed together to form a neat seam as shown. There is potential to burn yourself on glue or plastic during this operation so use a cloth to protect your hands. Cut nocks at a 45 degree angle about 1inch from the tip making sure there are no sharp edges that could damage the string when it’s under pressure and you now have the basic bow complete. 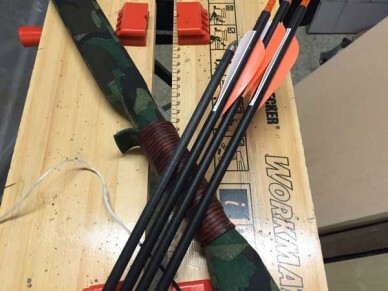 I would suggest initially stringing the bow with bailer twine, pre-stretched parachute cord or other non-stretch material with loops at each end to achieve a brace height of around 6-7 inches. 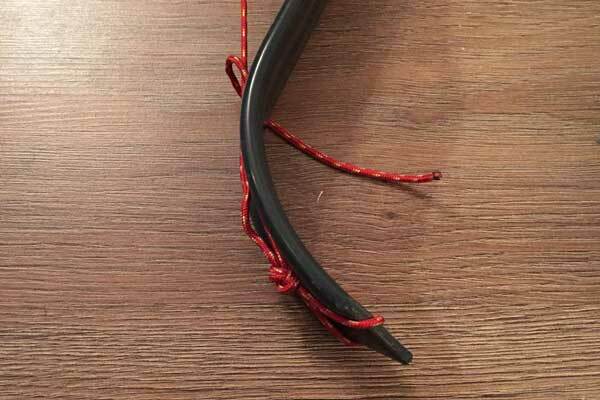 Normally for a recurve bow the string is around 4 inches shorter than the nock to nock measurement but with PVC bow construction it can be different so this is a worthwhile step to avoid wasting money on the wrong string length. For example, this project bow measures 62.5 inches nock to nock but a 60.5 inch string gave a perfect 6.5 inches of brace. Note: While you can make your own strings I buy them ready made at the correct length as they are cheap, readily available and reliable. You can now use your bow as it is but for comfort and usability I would suggest wrapping the handle with either leather thong or parachute cord and adding an arrow rest. I would also recommend painting or covering your bow to protect it from damage and ultra-violet rays which, over time, will make the PVC become brittle. 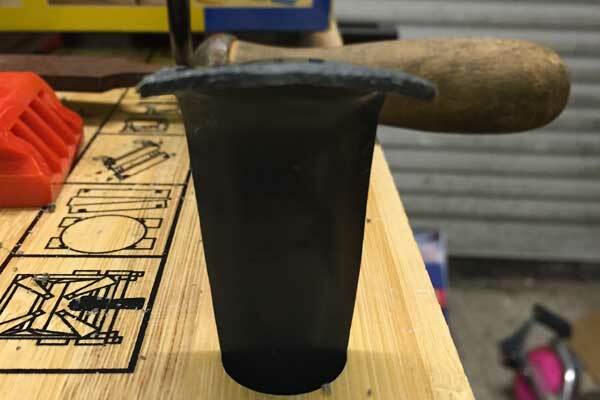 A simple arrow rest can be made by flattening a 3.5 inch section of pipe and cutting a wedge from the flattened edge as shown below. 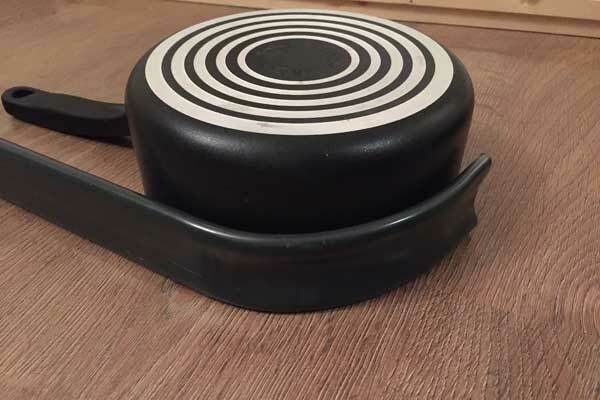 This can then be heated, flattened and bent to the correct shape to fit your handle. Put a slight curve in the ledge so contact with the arrow is minimal. You can cover the ledge and the area of handle that will contact the arrow with velcro or leather to protect against wear. Before painting your bow sand it gently with a 240-400 grit paper to provide a key for the paint. Use a primer and paint suitable for a PVC surface. There are specialist paints that combine with the plastic for a very tough finish but they can be expensive so I use standard car spray paints to good effect. I have also used coloured or patterned duct tape as a covering which produced very pleasing results. Of course you are going to need arrows to complete the kit. Again, while it is completely possible to make these yourself (this will be the subject of another tutorial) good quality, consistent, arrows are readily available at a reasonable price so for reliability and speed – as you are excited to use your new bow – these will be perfectly adequate until you have had chance to craft your own. Selecting arrows can be quite technical but as a general rule buy arrows designed for a recurve bow approx 2 inches longer than the distance from the back of the handle to string when pulled back to your cheek – your draw length. Note: Although more of a problem on wooden bows you should never fire your bow without an arrow (dry fire) as this may damage it. That’s it, you are ready to go and shoot your bow. This is a fairly short range test but even so you can see that it is pretty accurate achieving 5 out of 6 shots in the small head scoring zone on the first time of using. The bow is not painted yet but the tips are primed and the arrow rest is taped into its approximate final position for the purposed of this demo. These bows can be powerful and quite capable of seriously injuring someone, including yourself, if not afforded the proper respect. If you are not familiar with shooting a bow I would suggest a short beginners’ course at your local archery club to learn proper techniques and safety procedures. The good thing about PVC bows is that, if you do over draw them, they don’t tend to fail catastrophically as wooden bows might. Use a suitable target specifically designed for archery and when shooting make sure that, should you miss the target, the arrow will not be able to travel on into an area that could endanger passers-by or onto someone else’s property. Also make sure that no one can wander into your shooting range unexpectedly. Please also note that bow hunting is not currently legal in the UK and you should not attempt to take quarry with your bow under any circumstances. Brace/brace height – the distance between the back of the handle and the string in the centre of the bow when the bow is strung. 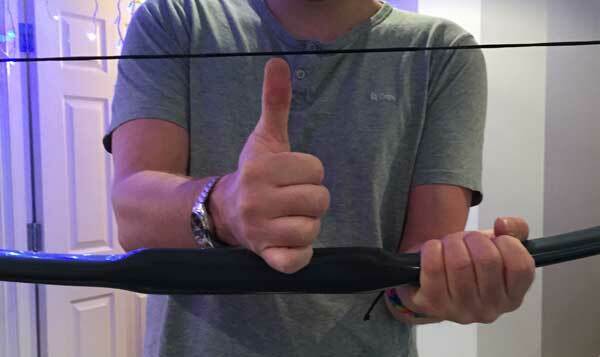 A good test for brace height is to rest your hand on the handle with your thumb up – mine measures approx 6.5 inches although obviously this will differ for your hand. where can i but the pipe in the uk? 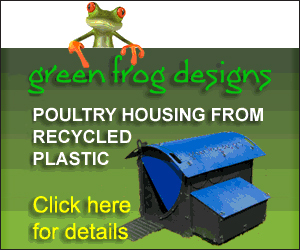 The only place know of is http://www.plasticpipeshop.co.uk Call them for our exact requirement. I find the 1 inch schedule 40 pipe makes a good adult bow and the 3/4 inch is better for lighter weight bows. Both limbs are the same length, right? The arrow rest should be on the center line, correct? Thank you for the tutorial. Both limbs are the same length on this design but the arrow pass is about 1 inch above the centre. This does make the bottom limb slightly longer obviously and if you were making a wooden bow it would be common practice to make that limb slightly stiffer to compensate. I haven’t really noticed any major issues with plastic bows though. You could try shortening it I’d be interested to see if it improves handling but for a cheap, good fun bow this works just fine. What have you guys used for the bow handle material? What is the pull weight of This design. Can I check it with a fishing scale. Not sure how I can produce a sight for bow. Sorry about all questions first Timmerman making this for me and my 3 older boys. We’re very excited. Still trying to find my heat gun. Thanks tutorial. How do I no what the max pull weight is. It is a bit of trial and error really as it depends on the pipe you use, the exact taper and design of bow you make. The one in the article is relatively light at about 28# @ 28″ but I have made them up to 60#. The easiest way to get extra poundage is to just make them shorter. You will gain about 5# for every inch off each end (so 2 inches less) – again depending on the pipe. You can use 1/2, 3/4 or 1 inch pipe. I have even added wooden Siyahs to some designs. It’s all up for experimentation. Have fun. In the UK I bought schedule 40, schedule 80 and class f pipe (the euro version of schedule 40) at ABW Plastics. Class F comes in grey and is cheaper than schedule 40, with the same bar/pressure rating as schedule 40. And I think the same wall diameter.